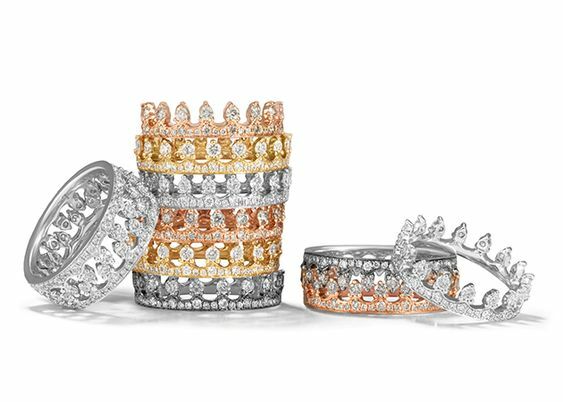 Annoushka have a fabulous collection of rings which come in a myriad of coloured stones and they all intertwine with each other to build your own crown, you can go from brilliant classic diamonds to ice pink or sapphire blue, along with solitaire diamond rings to stack around give you something really special. An enchanting ring stack layering two 18ct white gold Crown Rings with the new rhodium plated Icy Diamond Eternity Ring from the Dusty Diamonds collection. 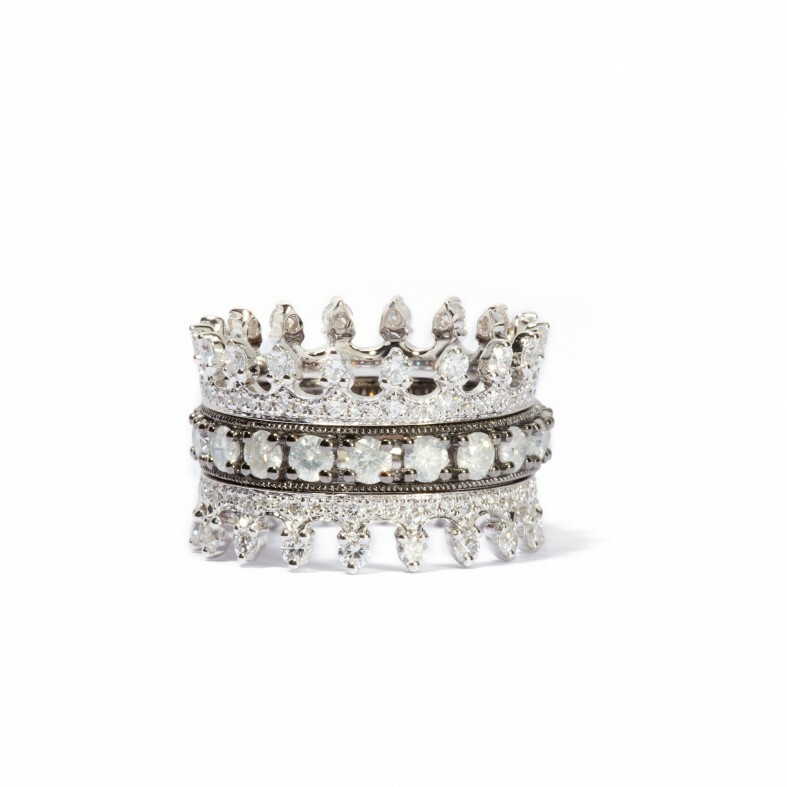 Set with 2.49 ct sparkling white and icy diamonds, these rings can be worn in a number of ways. 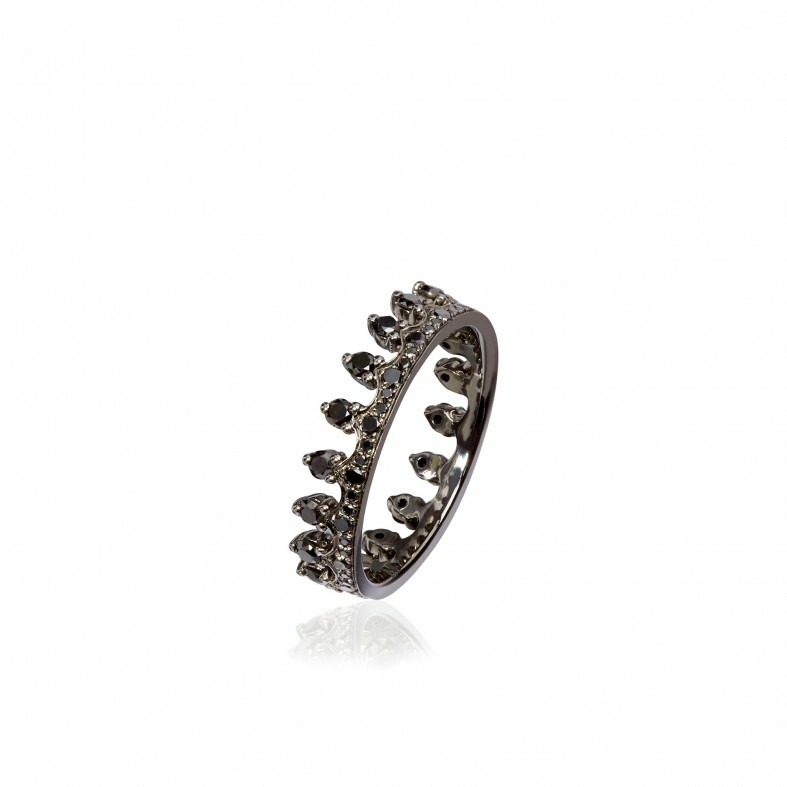 An 18 carat white gold rhodium plated Crown Ring hand set with 72 remarkable black diamonds totaling 0.87 carat. 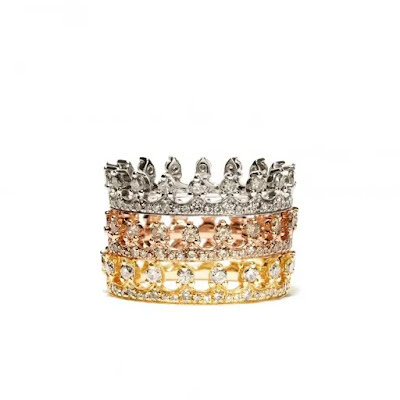 Wear alone or magically transform into a stunning gold ring stack with two of these rings interlocking to form a stunning diamond crown ring band. The Triple Crown Ring Stack is formed from three perfectly stacked Crown Rings in 18 ct rose gold and brown diamond, with each ring featuring 0.87 ct brown diamond creating a perfect crown in miniature. A rose gold brown diamond Crown Ring interlaces with a white gold and diamond crown ring and yellow gold diamonds crown ring. Featuring a total of 2.61 ct diamond, this ring stack echoes the spirit of modernity, irreverence and surprise which permeates Annoushka’s design aesthetic.